July Target Beauty Boxes are Here! If you have been dying to get your hands on a Target Beauty box then you need to run to a computer. NOW! Target just released TWO beauty boxes for the month of July. I already ordered mine. 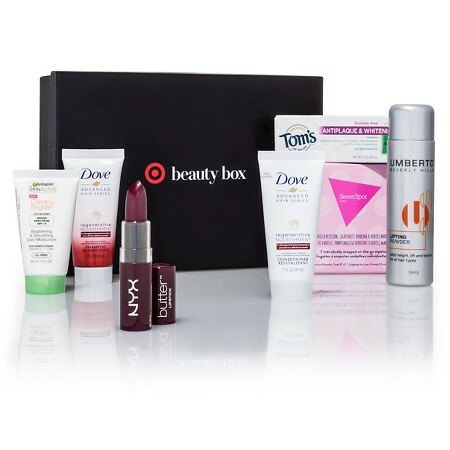 Be at your best all summer long with the Fresh & Fabulous Target Beauty Box. A nearly $30 value for just $7, this handpicked collection of must-have beauty products that will freshen you up in no time flat. Test them out and tell us what you think. If you love them as much as we do, find the full-size versions at Target.com/beautybox. Get glowing with the Simply Radiant Target Beauty Box. A nearly $30 value for just $7, this handpicked collection of must-have beauty products will keep looking and feeling your best all summer long. Test them out and tell us what you think. If you love them as much as we do, find the full-size versions at Target.com/beautybox. These won’t last long. So if you want them go grab them quick!